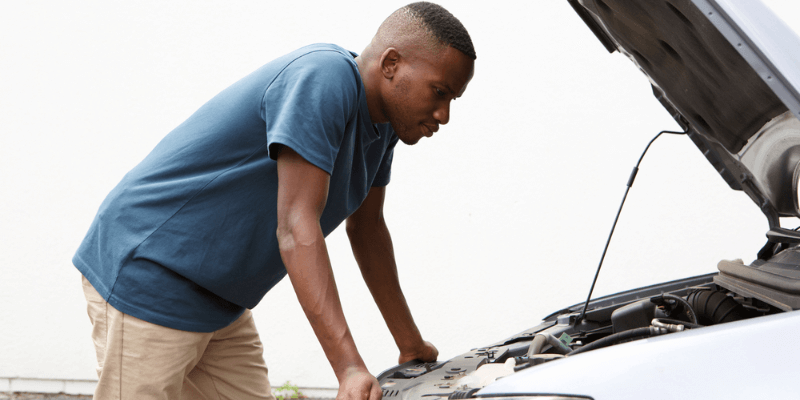 What is the Importance of Regular Car Maintenance? According to information collected by AAA, one in three U.S. drivers delayed or skipped recommended vehicle maintenance and repairs in 2017. 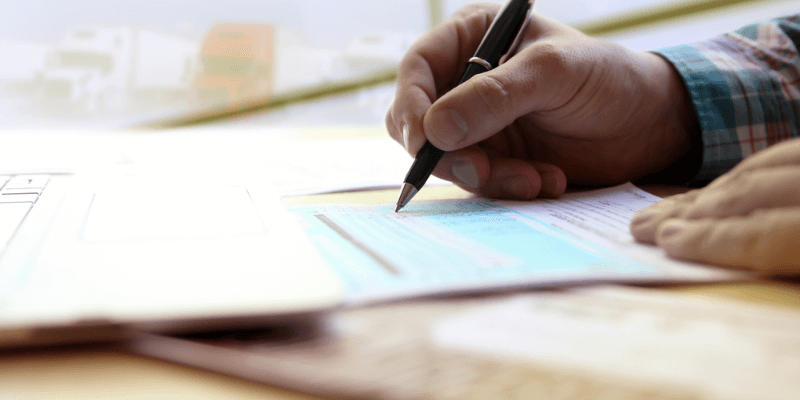 This coincides with the amount of money that is required to be spent yearly to repair avoidable issues caused by the lack of standard maintenance. Generally, these unexpected repairs bills cost between $400 – $600, with some costs exceeding $1,000. This figure also supports a study provided by the Business Insider that states that only four out of ten Americans can afford an unexpected $400 expense. Monetary aspects aside, the safety and reliance of an individual’s vehicle maintenance is something that should not be overlooked. When a vehicle owner neglects to provide their vehicle with the recommended regular maintenance, vehicles run the risk of becoming a danger to the individual operating them. System failure could happen at any time, and this is especially dangerous when one is far away from home. While some issues are out of the average vehicle owner’s control, there are a large number of issues that can be avoided by keeping up with regular maintenance. The engine is one of the most important components on a vehicle, as it provides power to the vehicle and allows it to operate. Keeping up on all scheduled maintenance is recommended to ensure the most optimal life cycle for a vehicle. Replacing a vehicle’s engine oil is one of the most common scheduled engine maintenance procedures known to the average consumer. Oil changes are also one of the most important standard services that cannot afford to be overlooked. When operated, the vehicle’s engine is constantly passing air in and out of its multiple intakes. This air often contains debris which eventually sticks to the oil coating of the interior of the engine. Once the oil is full of debris, the risk of damaging the internal components of the engine is much greater. For this reason, it is required to flush out any of the old debris-filled oil from the vehicle’s engine. Generally, standard oil change services are relatively inexpensive and completed quickly. 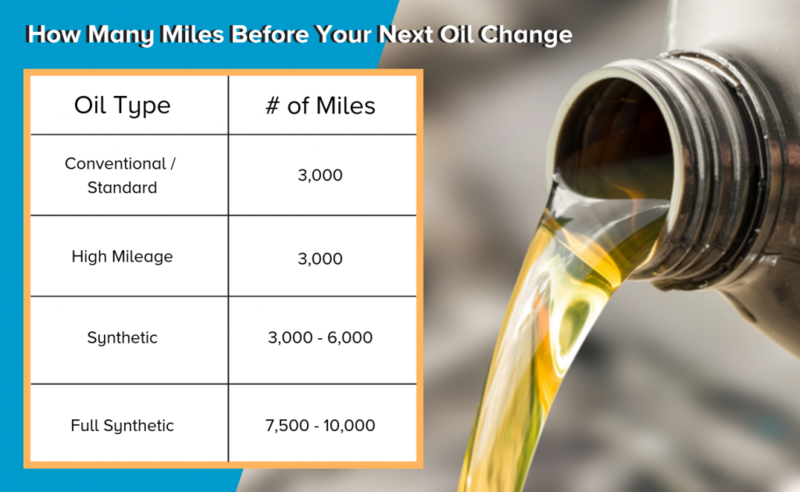 Depending on the type of oil inside of a vehicle’s engine, replacement times will vary. Filters directly related to the engine are typically overlooked on vehicles despite being a vital car component of the engine. Three major filters that require replacements periodically are found in the engine. While the debate is still out on the exact mileage recommended to replace a vehicle’s oil filter, there is no denying it is an important part to replace. Most oil manufacturers recommend replacing a vehicle’s oil filter every 3,000 miles, or every time a vehicle oil is changed. However, some independent mechanics state this is unnecessary. The average mileage recommended by most mechanics is closer to 7,500 miles. Regardless, it is important never to allow a vehicle to exceed 7,500 miles without an oil filter replacement. Exceeding this mileage puts the vehicle at risk for extensive damage. The exact replacement time of an air filter is a little more tricky to determine, as the make and model of a vehicle are put into consideration when calculating the recommended replacement variable. While some manufacturers such as Chevrolet recommend vehicle owners replace their filters every 45,000 miles, others like Ford and Hyundairecommend an air filter replacement every 30,000 miles. This estimate is subject to change based on the environment the vehicle is operating in, and how often it is driven. One of the easiest ways to tell if an air filter requires replacement is by lifting the vehicle’s hood and checking the air filter compartment. If the air filter is a dark black/gray color, it needs to be replaced. On most vehicles, the check engine light may illuminate on the vehicle’s dashboard denoting a mass airflow error. This informs the vehicle’s owner that the vehicle requires an air filter replacement. The fuel filter is often one of the most unheard of filters that require standard maintenance. Located near the fuel tank, the fuel filter catches any debris or impurities in gasoline before sending the fuel to a vehicle’s engine. While the incorporation of fuel injection systems on many vehicles has removed the overall burden on the fuel filter, it is still recommended to change them periodically to avoid damage to the fuel pump. This allows for the fuel tank to have full communication with the engine. Most mechanics recommend replacing the fuel filter every 20,000 – 40,000 miles. Other mechanics state replacements could be pushed back until 60,000 or 90,000 miles. Consulting with a vehicle’s owners manual will provide vehicle specific information with accurate replacement times. Among the more important components in the engine that require semi-regular replacement, the individual belts are integral to the functionality of the operation of a vehicle. If these belts are not maintained regularly, the vehicle runs the risk of damaging the internals of the engine. Component damage issues caused by neglecting to change the belts will result in a high repair bill which often exceeds the current value of the vehicle. As one of the most common belts found inside of engines today, the serpentine belt is an important part of the operation of a majority of a vehicle’s components. The serpentine belt provides functionality to the power steering, air conditioning, water pump, and the alternator. 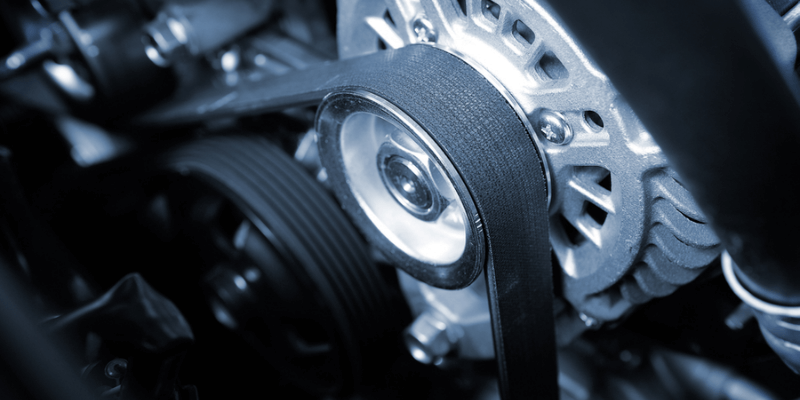 As the serpentine belt ages, cracks and forms tears along the top of the belt, these belts must be periodically replaced. The event of a belt slipping will fail one of the listed components until the serpentine belt is fixed, potentially causing additional damage to the engine. This is why it is recommended to replace the serpentine belt every 60,000 to 90,000 miles. Timing belts are another important belt directly located on the engine of a vehicle. On standard combustion engines, the timing belt controls the timing of the engine’s valves, allowing them to open and close in sync with the pistons. This allows for smooth operation. If the timing belt is worn or damaged, the engine’s timing may go out of sync and cause major damage to the engine. Replacing the timing belt is recommended at every 60,000 to 90,000 miles. Spark plugs are an integral part of the operation of all combustion engines. As the engine is in operation, fuel is injected into an airtight compartment that encases the piston. As the piston completes its cycle, the top of the piston will strike the bottom of the spark plug, creating a spark. This is what provides the engine with the combustion needed to convert into power. 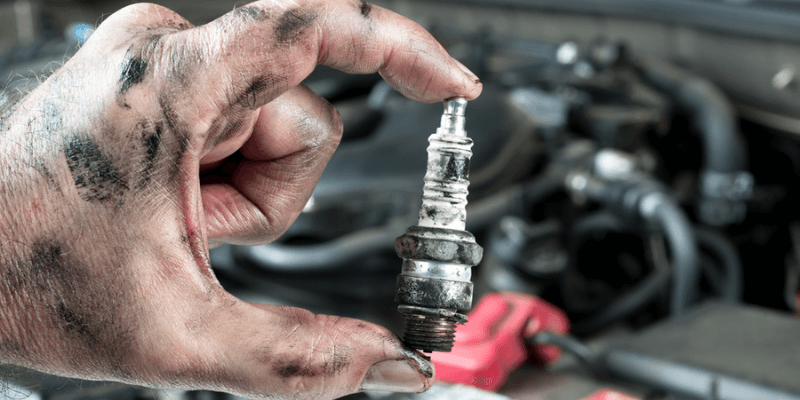 If a spark plug goes bad, misfires or loss of power will occur. Spark plug wires connect directly to the spark plugs to deliver the power needed to create the initial spark. 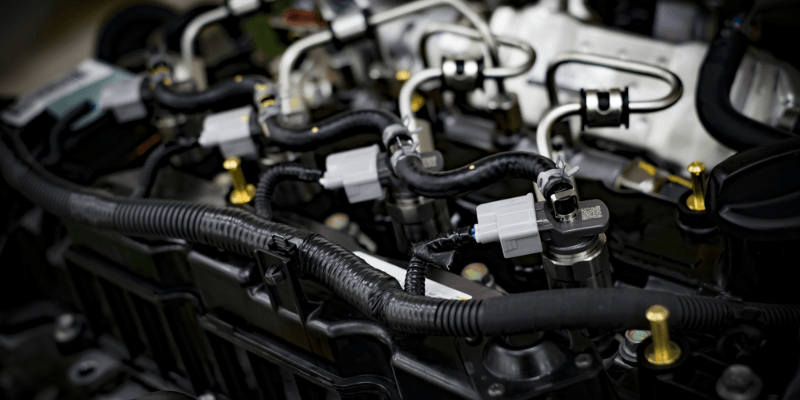 When the spark plug wires begin to fray, a multitude of issues will occur with a vehicle including decreased power, decreased acceleration, and poor fuel efficiency. Typically spark plug wires will be replaced when performing a tune-up but could require replacement sooner depending on the natural wear over time. 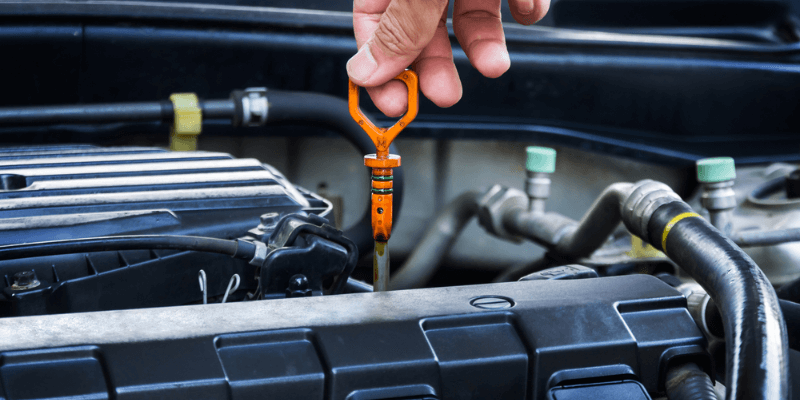 Some tune-ups may include a fuel injector cleaning service, which typically consists of the mechanic wiping down and removing gunk and corrosion from around the fuel injector systems. Fuel injector cleaner is sometimes included with the service or recommended after the service is complete. An inspection of the engines timing belt is performed to ensure the belt is operating in sync with the rest of the engine. Mechanics will also check the health of the belt itself and inform the vehicle owner if it requires replacement soon. For individuals with older vehicles, the presence of a check engine light may not be anything new. 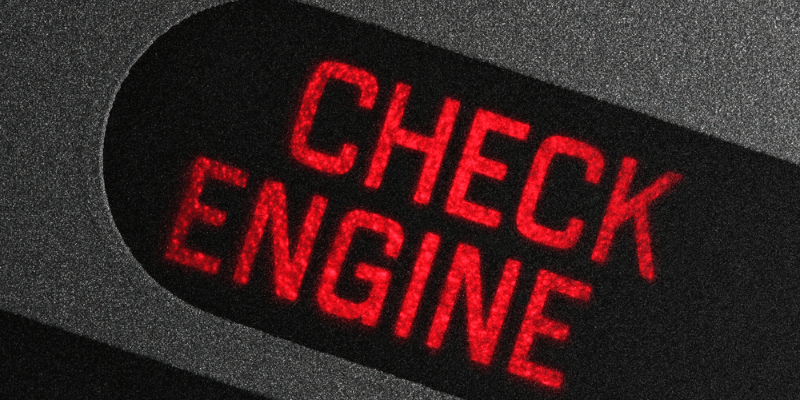 While the appearance of a check engine lights typically denotes an issue that needs immediate fixing, some vehicle owners will allow their check engine light to stay on if the issue doesn’t need immediate repair. This is typical in most states that do not issue an emissions test, as some issues in the emissions system will cause the check engine light to illuminate but not affect the overall operation of the vehicle. The danger comes from newer issues that may arise in other systems of the car that would cause the check engine light to illuminate. Due to the presence of the illuminated light, it is nearly impossible to tell that a new issue has arisen. Purchasing an OBD reader, or bringing a vehicle to a nearby AutoZone or auto parts store, will test the onboard computer and read what errors are causing the light to illuminate. This may result in new error codes being shown, which will inform the vehicle’s owner that service is needed. 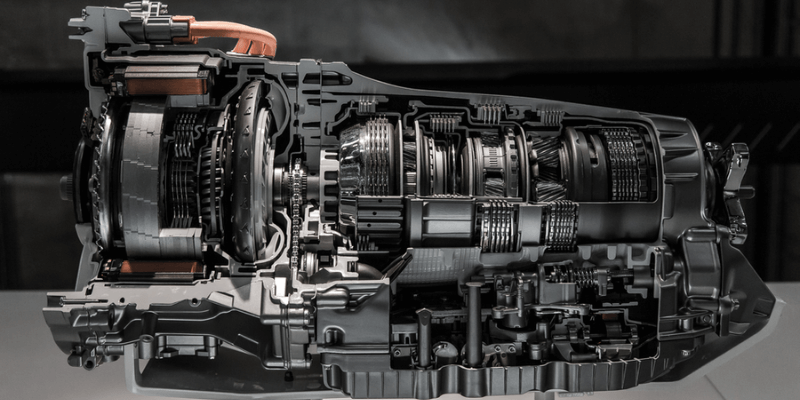 The transmission is the next integral component on a vehicle; this is due to its direct connection with the drivetrain as well as the vehicle’s engine. Without proper care and regular maintenance, the transmission’s integrity is put at risk. It is recommended that all scheduled maintenance be completed to ensure the life of the transmission. While the transmission may not have as many components requiring replacement or service as the vehicle’s engine, the few that it has are detrimental to the operation of the rest of the vehicle. It is important to keep on top of transmission inspections and care, as repairs are among the most expensive for a vehicle. Checking the transmission fluid levels is important to ensure the proper care for the transmission system. This is done through the use of a dipstick on top of the engine. When checking a vehicle’s fluid levels, owners should always bring a napkin along for inspection. As the transmission dipstick is removed, it will be coated in a layer of transmission fluid. Take the napkin and run it along the dipstick to wipe off all of the transmission fluid. Make sure the transmission fluid on the napkin is pink and sweet-smelling; as this indicates a healthy transmission. If the transmission fluid is a brown or blackish color, the vehicle’s transmission fluid requires changing as soon as possible. As transmission fluid does not burn up during operation, the presence of low or no transmission indicates there is a leak on the vehicle. Similar to how engine oil lubricates the internal components of the vehicle’s engine, transmission fluid is used to lubricate the internals of the transmission. The composition of the vehicle’s drivetrain will determine the required transmission fluid. For automatic transmissions, users will be required to use automatic transmission fluid. Manual transmissions will require a mixture of oils including motor oil, hypoid gear oil, and occasionally automatic transmission oil. Individuals with automatic transmission vehicles are typically recommended to replace the transmission fluid once every 60,000 to 100,000 miles. Some mechanics may advise that transmission fluid on a vehicle is never in need of changing, as the complexity of transmission systems have become more compact and air-tight. Regardless, changing a vehicle’s transmission fluid often will cause no harm to the vehicle’s transmission system. For those with manual transmissions, the average replacement recommendation is every 30,000 to 60,000 miles. For vehicles under heavy-duty use, such as constant towing, loading, or dumping, manufacturers typically recommend replacements every 15,000 miles. Despite the transmission filter is an integral part of ensuring the life of a vehicle’s transmission, replacements are typically not detrimental to the overall operation of the vehicle. The largest deterrent from regular replacements comes with the complexity of removing the transmission filter, as it is placed far inside the transmission itself. Filter replacements are typically a labor-intensive job commonly associated with a high repair bill. Consult with a mechanic to determine if a transmission filter replacement is needed. Due to varying answers from professionals, power steering fluid is often neglected as a recommended fluid that needs to be replaced. While some professionals have stated replacements should be done every two years, others recommend having the power steering fluid flushed every 75,000 to 100,000 miles. Let DriveSmart Take Care of Your Fluid Maintenance! Enroll in One of Our Protection Plans and Receive Included Fluid Replacements! Radiator caps hold one of the most controversial replacement times out of any serviceable part due to the large number of contradictions that come from different mechanics. A radiator cap plays an integral part in pressurizing a vehicle’s coolant system. As the vehicle ages, this system begins breaking down the radiator cap. Once broken down enough, the radiator cap will lose its suction, causing issues with the coolant system. Some mechanics state vehicle owners should inspect and replace their radiator cap every 6 to 12 months, while others will claim replacements are only required when the old cap fails. As the component is relatively inexpensive, replacing a vehicle’s coolant cap alongside a coolant flush is a good rule of thumb to follow. 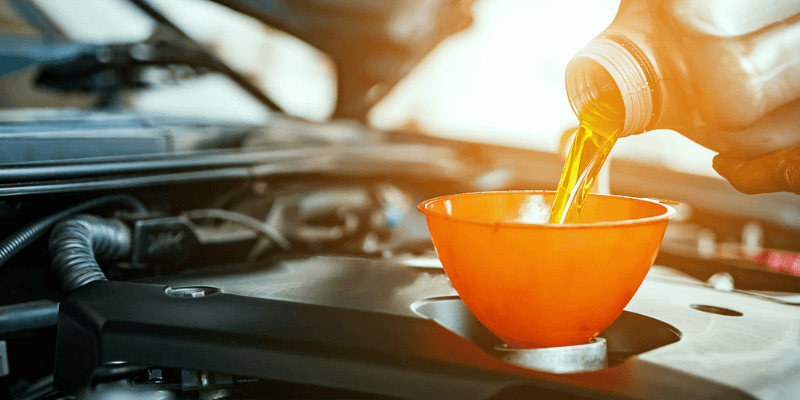 Coolant, or antifreeze, contribute directly to the operation of a vehicles cooling system as well as keeping a vehicle’s engine from overheating. While a vehicle’s engine is in operation a considerable amount of heat is being generated due to the constant combustion. Most of this heat is expelled through the exhaust system, though a fair amount stays inside of the engine block. Coolant is dispersed throughout the engine via a multitude of hoses, absorbing the excess heat produced by the engine as it transfers to the vehicle’s radiator. Manufacturers and mechanics often recommend replacing a vehicle’s coolant once the odometer hits 60,000 miles. Future replacement should be completed every 30,000 miles. If the coolant isn’t changed regularly, it runs the risk of electrolysis. This process turns the coolant heavily acidic and could contribute to radiator issues. 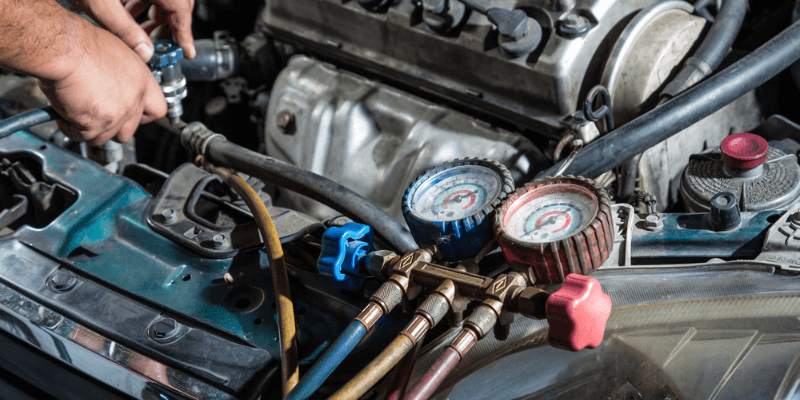 On most standard vehicles, the typical cooling system consists of at least four main hoses: upper radiator hose, the lower radiator hose, and two heater hoses. Since these hoses are typically made out of rubber and are constantly interacting with heat, corrosion will eventually occur. Once corrosion begins, the coolant may begin leaking and cause the vehicle to overheat. There is no recommended mileage for coolant replacements, and it is advised to inspect each hose monthly visually. Occasional system pressure testing is recommended one to two times every year. Tires are considered one of the most important components of the composition of a vehicle, which is why it is recommended never to overlook regular maintenance. While tire repairs are not expensive on their own, replacing a full set of tires can easily cost $400 or more. Often overlooked as a standard service, tire rotations are vital in ensuring the full life of a vehicle’s tires after its daily operation. Tires begin to develop wear on both sides with normal use. Rotating a vehicle’s tires is important to balance the wear developed over time, as rotating the tires re-balances the vehicle. While newer tires have become very maintenance-free, it is still important to perform regular rotations every 5,000 to 7,500 miles. As a vehicle is in its daily operation, there are many instances it will be met with various obstructions in the road. These obstructions can vary from potholes to debris in the road and even running up a curb while parking. If a vehicle is impacted hard enough, it will begin drifting to one side. This is due to the vehicle being knocked out of alignment after a severe impact on the road. To have the wheels re-aligned, the vehicle’s owner simply needs to bring the vehicle to a local repair shop. Before bringing the vehicle in for an alignment, it is recommended to check the tires pressure, as low pressure could also cause vehicle unalignment. This could also occur in the event of a vehicle’s tire showing signs of tire wear. If a vehicle’s tire is wearing out, the affected side will cause the vehicle to pull, or drift, in a certain direction. While there is no exact mileage that wheel alignment is required, it is always best to have the vehicle’s tires inspected for an alignment when the tires are rotated. 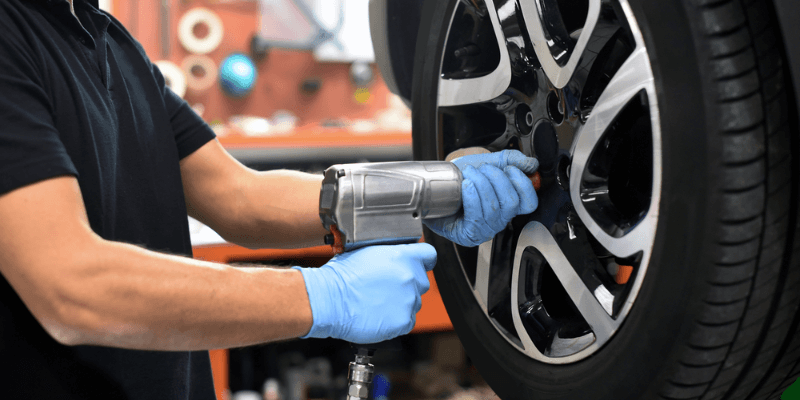 While it is important to have an overall tire inspection performed at a service center or repair shop, there are monthly inspections that should be performed by the vehicle’s owner. Once every month, an individual inspection for tire wear and damage should be performed to determine if the tires require replacing. One easy way to inspect a vehicle’s tires is through the use of the Quarter Test. Steps required to perform this test can be found on our Mobile Tire Service Guide . It is important to perform these self-tests as it could avoid lasting damage to the vehicle and provide protection while on the road. Despite most vehicles being advanced enough to actively monitor tire pressure, it is still important to check a tire’s pressure once a month to avoid potential damage. This can be done through the use of a tire pressure gauge, which provides an active reading of a vehicle’s tire pressure. During operation, the tires will slowly deplete their air pressure when coming in contact with uneven roads, bumps and curves, and potholes. Often, the climate a vehicle is being operated in plays a part in the overall depletion of a tire’s air. Vehicles operating in a warmer climate will lose air at a slower rate than those operating in a colder climate. While it is advised to check a tire’s air pressure monthly in warmer climates, it is recommended to check a vehicle’s tire pressure every two weeks in the presence of colder environments. As batteries have advanced greatly over the years, standard maintenance for these batteries has diminished greatly. This is due to the vacuum-tight encasing surrounding the battery. Regardless of advancements, there are still some inspection and maintenance practices that should be performed to allow the optimal operation of a battery. Depending on the location of a vehicle’s battery, dirt, oil, and other corrosion can build up on the case of a battery. There is a chance for the residue to cause a current drain on the battery. This issue can be negated simply by wiping down the battery case with a wet rag or paper towel coated with a mild amount of laundry detergent. After the residue is clear, it is advised to dry the battery case and inspect it for cracks or bulging. The presence of either will indicate the need for a replacement. As a vehicle’s battery ages, thin layers of corrosion may build up on the terminals, battery posts, or other current drawing components. If this happens, reduced engine power may occur, or the vehicle may refuse to start. To clean the corrosion, remove the power terminals from the battery itself, create a 50/50 solution of water and baking soda, and use a stiff brush to apply the solution. The baking soda will interact with the corrosion and break it down to allow the corrosion to be wiped away. Once the battery is free of corrosion, wipe down the terminals with water to clear away the baking soda and dry it thoroughly before re-connecting the battery. 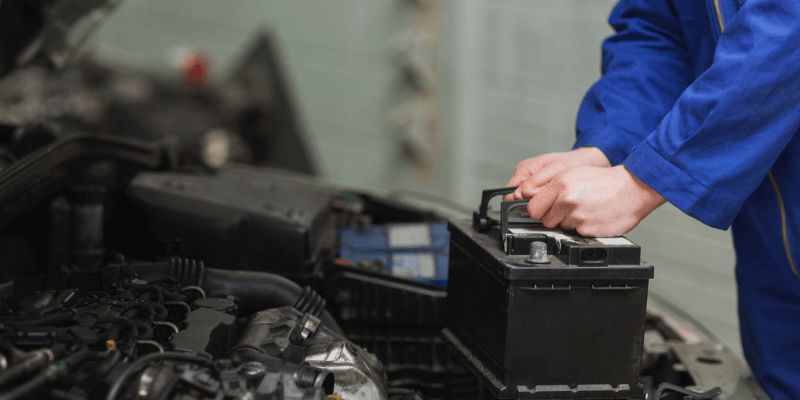 While most mechanics, auto parts shops, or retailers will assist in the installation of a vehicle’s battery, it is important to understand the process in the event it needs to be replaced without assistance. To remove a battery from a vehicle, remove the two cables connecting to the terminals. It is important the negative connector is removed first, and the positive connector second. Once these connectors are removed, lifting the battery will allow it to slide right out. Once removed, insert the new battery directly in the same compartment the old one was removed from. When re-installing the cables, it is important to place the positive connector first and negative second. On some newer vehicles, re-programming is required once the battery is replaced. It is important to consult with a mechanic before replacing a battery to know what will need to be reprogrammed. Replacing a Car Battery Is Never Cheap! Enroll with Drivesmart and Find out How You Can Receive a Included Car Battery Replacement! Since fuel system maintenance is not one of the most heard of services, most mechanics recommended a fuel system cleaning periodically to ensure the health of a vehicle. Gasoline is constantly passing through these systems, and there is a large chance for congestion to occur. While congestion typically won’t result in lasting damage, the fuel economy of a vehicle will diminish greatly. If the vehicle’s fuel system becomes completely clogged, a mechanic will be required to remove the congestion manually. With the increased sophistication of fuel-injector systems on modern vehicles, there is little need for periodic cleaning to keep a vehicle healthy. Though most repair shops will still recommend having a vehicle cleaned periodically, it is not required to bring a vehicle in for service. Purchasing an over the counter fuel injector cleaner will do the same as professional cleaners at a fraction of the cost. Typically it is only recommended to clean the fuel injector system if the vehicle begins showing signs of stuttering during acceleration, loss of power or lower gas mileage received. If the issues persist after the cleaner is applied, the vehicle may require a full fuel-injector system cleaning. This cleaning procedure uses compressed air to forcefully inject the system with the provided cleaner, clearing debris and build-ups along the way. This process can be completed at most local repair shops. Fuel system cleanings are recommended every 15,000 miles. A majority of modern vehicles only require cleaning once a vehicle begins showing signs of congestion. These signs include a loss in power, lower gas mileage, and stuttering or hesitation when pressing on the gas pedal. Most repair shops offer a complete fuel system cleaning although over the counter solutions work just as well. These fuel system cleaners are available for purchase at most local auto parts store. (This is the same solution vehicles with Fuel-Injectors use). While there’s no denying caring for all of the components under the hood is among the most important things to keep up with on a vehicle, ensuring the interior and exterior of a vehicle is maintained just as important. This is due to the direct correlation of the appearance of the vehicle and the ability to resell it once it has been outgrown. Providing care for the exterior of the vehicle is generally a straightforward process, as there is not much more to provide to the exterior of a vehicle aside from applying wax and having the vehicle washed. Some older cars may require care for the paint installed as some begin chipping after a few years. In a shaded area, apply a thin layer of car wax to the exterior of a dry vehicle. Do not allow the wax to sit too long, or it may be difficult to buff. Begin buffing the exterior, applying constant force behind the microfiber cloth being used to detail the vehicle. It is recommended waxing in a circular motion to avoid streaks. Allow the layer of wax to set on the vehicle; this process normally takes around 12 hours. Examine the exterior of the vehicle and determine if another layer is necessary. If It is, apply another thin layer of wax and repeats the process. It is recommended to repeat this process once every three months for most older vehicles, while newer vehicles are limited to four times a year to avoid staining. Car washes are the most basic form of exterior car care, which is why it is recommended to provide the vehicle with one every two weeks. 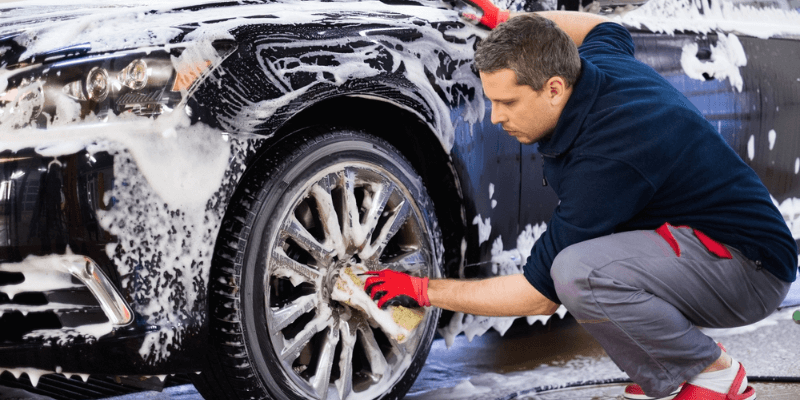 During the process of a car wash, all of the corrosive debris, salt and other materials that may compromise a vehicle’s integrity are washed away. For individuals living in the southern-most part of the United States, a sun shield is recommended to mitigate the damage that occurs from long sun exposure. These sun shields sit across the dashboard of a vehicle and protect the interior from being sun-stained over time. If a sun shield is not used, the dashboard will eventually begin showing signs of sun staining. 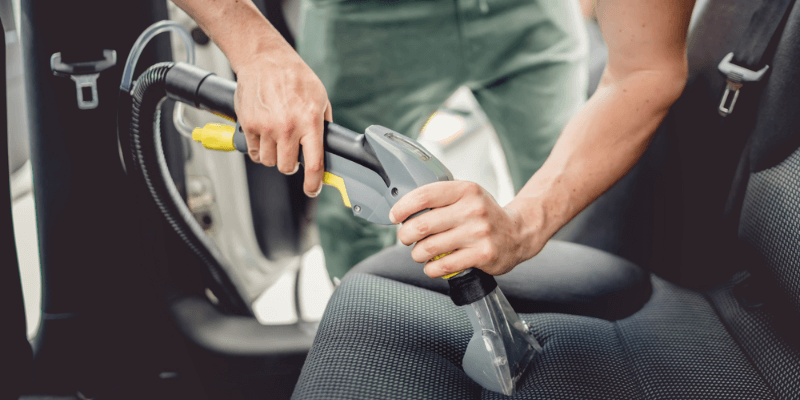 Periodic vacuuming of the interior of a vehicle is recommended to avoid a build-up of debris that may eventually stain the carpet. Debris is normally unknowingly dragged in from the bottom of passengers feet and can cause a large amount of damage if not properly addressed in time. While using a standard home vacuum may provide the necessary care the vehicle needs, it is recommended using car vacuums located as most gas stations and repair shops. Periodic steam-cleaning of cloth interior is recommended to ensure the proper care for cloth seats. If no steam cleaner is available, simply spraying a cloth upholstery cleaner and following the directions will allow for thorough cleaning. Regardless of the method, it is important to provide the vehicle with care when dirt build up is noticed. As most new vehicles are coming standard with leather interior, it is important to keep up with recommended care. Using leather cleaner, leather soap and a damp cloth will provide the necessary upkeep required by the leather interior. Failure to care for the leather interior may result in early cracking or discoloration. While it is easy to receive a standard car wash to clean the exterior of the windows, manual cleaning of the interior windows is recommended. Neglecting to clean the interior windows will not lead to any damage, but neglecting proper care may result in visible streaks or sun glares while driving. Both of these obstructions could impede the driver’s visibility and potentially lead to an accident. Understanding what to maintain on a vehicle is the first step of ensuring a vehicle’s care. It is equally as important to ensure everything is logged and recorded. Most vehicles include a small log for basic maintenance tracking in the rear of the owner’s manual. It is advised that a secondary form of logging be used. Most vehicle owners may find that purchasing a vehicle maintenance book will allow for more organized information logging. This is recommended for individuals with multiple vehicles, as separating log books will allow for less confusion. A quick search on Amazon will provide a variety of options for logging a vehicle’s maintenance. AutoCare – $2.99 – AutoCare is an intuitive app that aims at being an overall hub for vehicle maintenance. The app works by collecting maintenance records entered by the user and generating a personalized service schedule based on the information it collects. The app supports multiple profiles, making this a perfect app for families or households looking to track multiple vehicles. AUTOsist – Free – AUTOsist is one of the more direct maintenance apps currently offered on the app stores. With its basic formatting and overall design, AUTOsist is used purely for logging vehicle maintenance and to upload receipts. While AUTOsist is free for personal use, users will be required to pay $20 to track multiple vehicles under the same account. Fuelly – Free – Fuelly is another all-in-one vehicle hub that aims at being the last app user will ever need to track vehicle maintenance. With the inclusion of gas mileage tracking, maintenance records, online syncing to a Fuelly profile, customizable service reminders, and multi-vehicle support this app lives up to what it’s advertising. With the offering of numerous downloadable vehicle maintenance logs online there should be no issues in creating a customized log. While some may go more in-depth than others, all will generally have the same core elements. With printable PDF and downloadable excel files, automation and regulated logging should be no hassle at all. Provided is a free Vehicle Maintenance Log PDF to download and keep track of all current and future repairs and services. For multiple vehicles, it is advised that multiple copies are printed out and assigned to each. Many will find that most vehicle maintenance log apps are free, allowing vehicle owners to find which works best for them. Car maintenance suggestions will always vary, depending on the composition of the individual’s vehicle. As cars become more advanced, the process of tedious upkeep becomes less of a necessity. For some it will be required less frequently. Always consult with a mechanic and a vehicle’s owners manual to find the exact times of service.